Mexico is one of the countries with the largest cultural tourism in the world. Our country’s cultural, geographical and historical wealth can only be appreciated through its tourist destinations, its cuisine, its architecture, its traditions and everything that constitutes the being of a people. Learn about the vast range of archaeological sites around the country. Marvel at Tulum, Chichen Itza, Palenque or Monte Alban, some of these sites have been named World Heritage Site by UNESCO. Enjoy the handicrafts produced in Mexico, where the creation processes have not changed for centuries, and are handed down from one generation to the next. All throughout the country, you will find hundreds of squares with their church, their kiosk and their town hall. Admire their colonial architecture, their historical buildings and libraries, the local traditions reflected in every house, town, or city. Experience the rhythm of the life in one of its cosmopolitan cities, get fun in any of its beach destination or get away to live the magic of its picturesque towns. You are not really acquainted with a place if you do not taste its food. Mexico has one of the richest cuisines in the world. Its proposals are different from one region to the next, that make it vary to any taste. “Mi casa es su casa” is not only an urban phrase we use. We mean it when we say my house is your house. 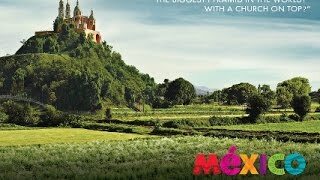 Mexico has been always a country that happily welcomes foreign visitors, we love to share our traditions and show to the world the beauties of this nation. Walking along my path in tourism, I have heard multiple times “I feel Mexico like my second home”. That´s the feeling we would like to spread out into our customers. Our expertise of 30 years, have given us the benefit to work different segments of tourism; MICE, Meetings, Leisure, Incentives, Events, allowing us to have the knowledge to recommend and suggest the best for the passengers. We count with the strong support of having all kind of resorts and hotels, excellent providers that offer plenty options for venues, ground services, tours & activities, backup staff who are well trained to provide an outstanding service and multilingual certified guides. In the years to come, I wish I can hear again “I feel at home” from one of your customers. I was born and raised in Mexico City, but moved to Cancun back in 1990. Fell in love with tourism since my childhood traveling with my family around the world, when my time came out, without a doubt I joined my first job experience in tourism in 1985. Four years later I moved to Cancun. Since those days I have been working for different Incoming, Wholesalers Agencies and DMC´s, up to now that Liberty International crossed my path. My co-worker, Clemente, moved from his hometown to Cancun and started working immediately in the tourism industry. With the pass of the years he got better job opportunities, that he was not willing to miss. Experiences that help him to grow and focused in his goals.